Planning a baby shower … ? Have you been given the task of planning a family member or friends baby shower? Or know someone that is planning one? 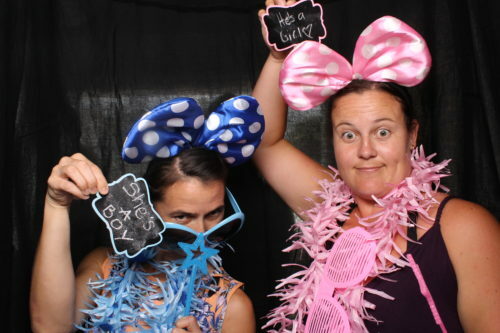 Have you ever thought of using a Photobooth? Well I thought we would try it at my sisters baby shower recently – to add a bit of fun, capture memories from the day and save them all in an album, which the baby in question could enjoy looking at later in life. And, not surprisingly, it was a massive hit! As the gender of the baby was unknown, I provided blue and pink props, and it was a great way for everyone to show their prediction of what they thought the baby would be. It provided hours of endless fun for everyone, and left my sister an awesome array of photos to treasure forever. We have since welcomed a gorgeous baby girl into our family – and while she is yet to have her debut in a photo booth, we know it will only be a matter of time!